In anticipation of long reading passages on standardized tests, some teachers are naturally concerned with how their lower, slower, and/or unmotivated readers will perform. One simple strategy to support these students is to teach them how to skim. However, skimming is not reading faster; it's reading more efficiently. 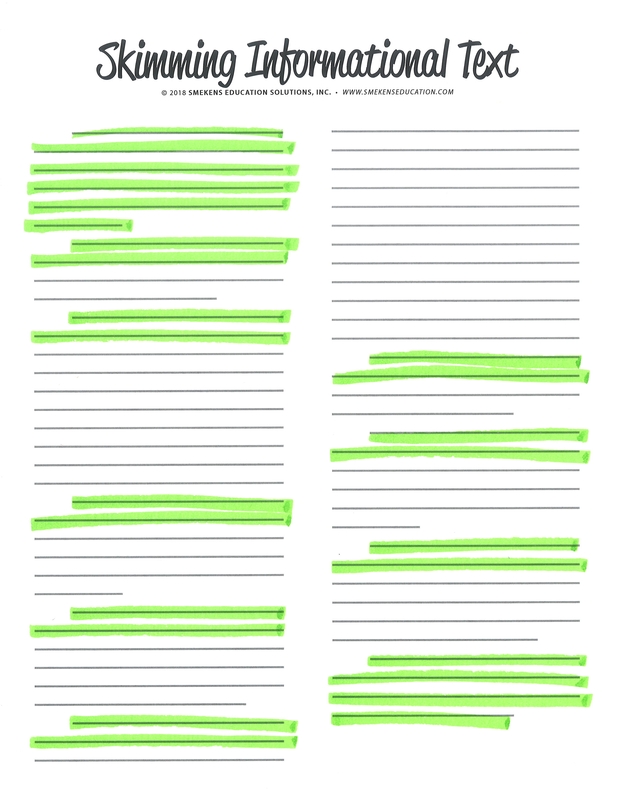 Skimming involves reading key portions of a passage to glean the gist. 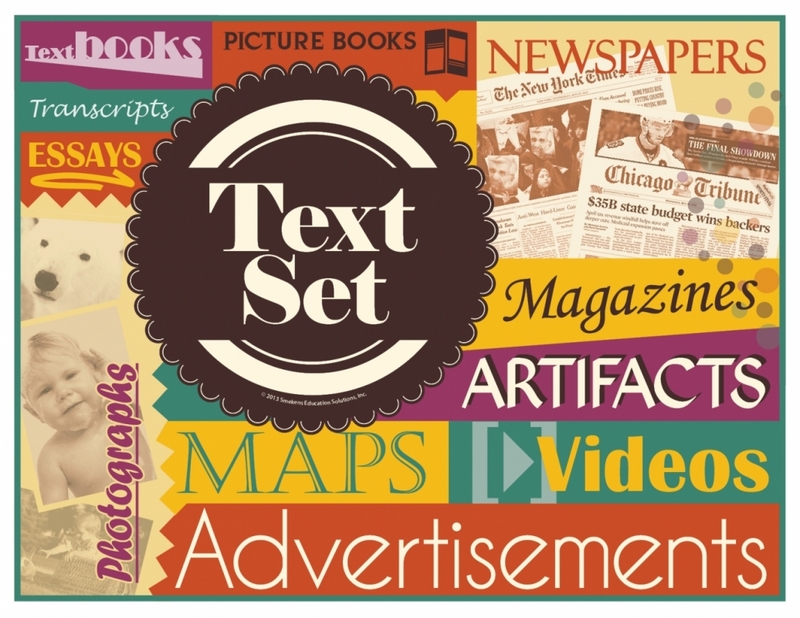 Teach skimming using informational text first. Read the introductory paragraph(s). The first paragraph (or two) of informational text contains the general topic, its narrow focus, and key points. Consequently, for the gist, students must carefully read this to know what the text will be about. Read the first sentence of each body paragraph. Assuming most paragraphs follow a traditional structure of topic sentences/supporting details, these first sentences of informational text will identify the big ideas. Read the final paragraph. These last sentences recap key points and provide the so what? for the reader. This often includes an appeal to action, a big aha, or a final remark. After reading these selective portions carefully, students are prepared to navigate the test questions. 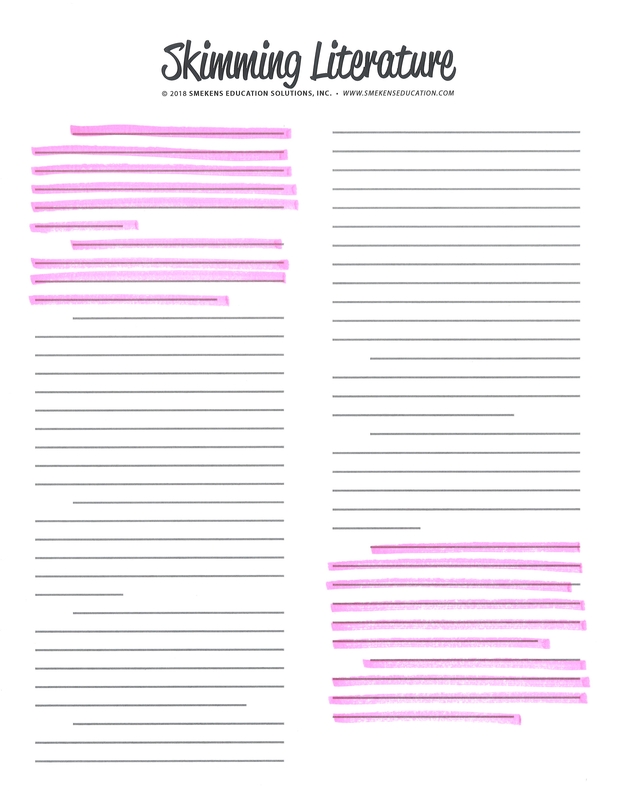 Although some questions require students to read body paragraphs, they now know which paragraph contains the specific details they need. Unlike informational text, narrative paragraphs don't follow a predictable pattern. (Sometimes they are extra-long and descriptive. Other times they may be one-sentence dialogue exchanges.) In addition, since stories follow a plot exposition map, comprehending the gist requires students to discover the conflict, climax, and conclusion. This requires a different skimming strategy. Read the first few paragraphs. Students are looking for two key elements in literature--the main characters and the conflict(s). Jump to the last two paragraphs to identify the climax and resolution. To have a thorough gist of literature, students need to know how the problem (revealed at the beginning) was finally addressed. This isn't found in the middle of the story! It's right before the end--usually in the second-to-last paragraph. Read these final paragraphs to discover the climax and then the outcome/resolution. It should be noted that skimming is not a permanent substitute for a thorough reading of the text. But, on time-sensitive tasks like standardized tests, some readers need alternative strategies to increase their likelihood of getting through all the material.